Dear Sir or Madam I am interested in the property with reference Bay advertised on Lux-Residence.com. Please contact me with further information. 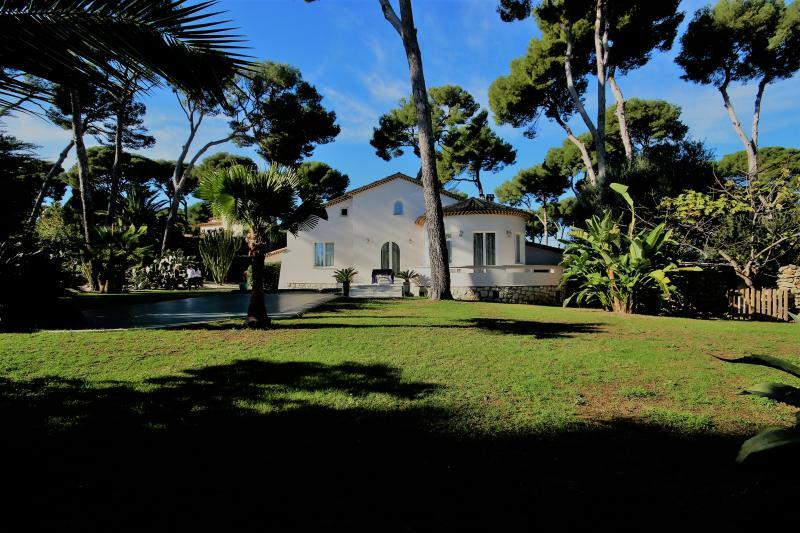 Cap d'Antibes, 2 steps from wonderful sandy beach and the sea. Quiet area, near all shops and restaurants. Panoramic views over the sea, Antibes harbour, old city, Alpes and Nice bay.Newly renovated villa of 300 m² with private garden and swimming pool.Main level : living room with TV, access to the terrace. Dining area for 12 persons, guest wc, cupboard, wine cellar. Study with the sofa. Separate fully fitted kitchen, laundry. First bedroom with shwer and WC.Upper level : 3 bedrooms, each bedroom has own shower room and WC. Master bedroom with dressing, bath, shower and WC. Terrace with garden furnitire and sea view.Ground floor : sauna; hammam, shower and WC, lounge area, home cinema room, large garage.Air conditioning, internet wi fi, alarm, TV.